August 31st marks the 20th anniversary of the death of Princess Diana. Her untimely death at the age of 36 stunned the world and devastated the royal family. Through her sons, Princes William and Harry, her legacy lives on, with both continuing her charitable work. 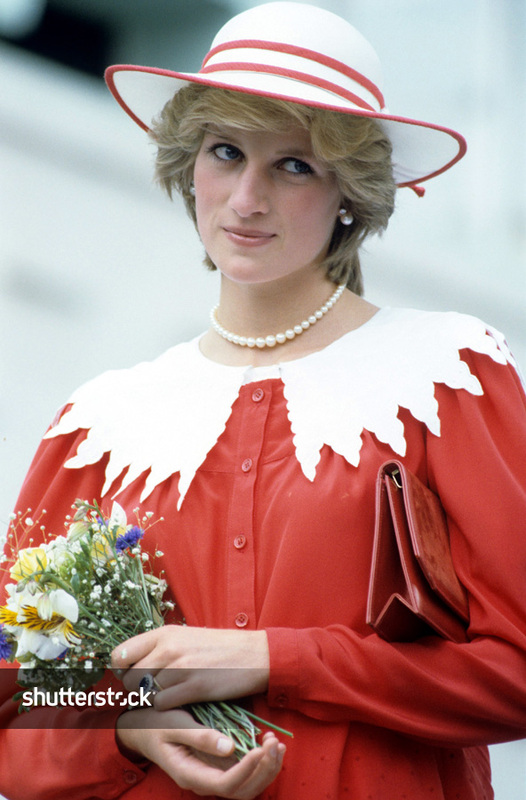 The Shutterstock Editorial archive has a wealth of rare and vintage photographs spanning Princess Diana’s life. We’ve curated a selection of 25 photographs that pay tribute to her exceptional achievements, as well as her relationships with her family and the world. To see our top 100 images, click here (Shutterstock Premier license required). To inquire about licensing opportunities, please email editorialsales@shutterstock.com. Princess Diana wearing a pink velvet ball gown in Palm Beach Florida during a 5 day trip to America in November 1985. Photo by Alan Davidson/Silverhub/Shutterstock – This editorial image is available on Premier as part of our Enterprise plans. Find out more here. Prince Charles and Princess Diana kissing on the balcony of Buckingham Palace in London, after their wedding. Photo by AP/Shutterstock – This editorial image is available on Premier as part of our Enterprise plans. Find out more here. Princess Diana holding the young Prince Harry while royal families posed for photographers at the Royal Palace, Majorca, Spain. Photo by JOHN REDMAN/AP/Shutterstock – This editorial image is available on Premier as part of our Enterprise plans. Find out more here. Princess Diana, a Patron of Help the Aged, prior to receiving a generous donation when opening the Takashimaya department store in London. Photo by John Redman/WPA/AP/Shutterstock – This editorial image is available on Premier as part of our Enterprise plans. Find out more here. Princess Diana dances with John Travolta at a White House dinner on November 9th, 1985. Photo by Shutterstock – This editorial image is available on Premier as part of our Enterprise plans. Find out more here. Princess Diana during her visit to The Shaukat Khanum Memorial Cancer Hospital in Lahore, Pakistan in February 1996. Photo by Mike Forster/Daily Mail/Shutterstock – This editorial image is available on Premier as part of our Enterprise plans. Find out more here. Princess Diana arriving at the Queens Theatre tor the charity performance of Noel Coward’s play Hay Fever. Photo by James Gray/Daily Mail/Shutterstock – This editorial image is available on Premier as part of our Enterprise plans. Find out more here. Princess Diana visiting Churchill Hospital In Oxford. Princess Diana before her marriage to Prince Charles in 1980. Princess Diana and Prince Charles with their son Prince William at a wedding September, 16, 1989. Photo by Mail On Sunday/Shutterstock – This editorial image is available on Premier as part of our Enterprise plans. Find out more here. Princess Diana proudly showing off her son, Prince William in 1983. Princess Diana waving from an aircraft in 1981. Photo by Kip Rano/Shutterstock – This editorial image is available on Premier as part of our Enterprise plans. Find out more here. Princess Diana surrounded by ballerinas at English National Ballet dancers tutus production of Swan Lake in 1997. Photo by PETER NICHOLLS/Shutterstock – This editorial image is available on Premier as part of our Enterprise plans. Find out more here. Princess Diana with Prince William and Prince Harry at VJ Day Celebrations and Memorial Service in London in 1995. Photo by BRENDAN BEIRNE/Shutterstock – This editorial image is available on Premier as part of our Enterprise plans. Find out more here. Princess Diana holding flowers while visiting Ulster Hospital in Northern Ireland in 1993. Photo by Alan Lewis/Shutterstock – This editorial image is available on Premier as part of our Enterprise plans. Find out more here. Princess Diana on a British Royal Tour of the Gulf States in 1989. Photo by David Levenson/Shutterstock – This editorial image is available on Premier as part of our Enterprise plans. Find out more here. Princess Diana in Berlin on British a Royal Tour of West Germany in 1987. Princess Diana during a British Royal Tour of Australia in 1988. Princess Diana arriving in Madrid on a Royal Tour of Spain in April 1987. Princess Diana during a tour of Canada in 1983. Photo by James Gray/Shutterstock – This editorial image is available on Premier as part of our Enterprise plans. Find out more here. Princess Diana wearing her signature tiara during the British Royal Tour of Canada in 1983. Photo by STEVE WOOD/Shutterstock – This editorial image is available on Premier as part of our Enterprise plans. Find out more here. Prince Charles and Princess Diana with Prince William in 1983. Princess Diana on a Royal Tour of Wales in 1981. Photo by John Shelley/Shutterstock – This editorial image is available on Premier as part of our Enterprise plans. Find out more here. Princess Alexandra and Princess Diana in Berkshire, Britain in 1981. Photo by Mike Lloyd/Shutterstock – This editorial image is available on Premier as part of our Enterprise plans. Find out more here. Prince Charles and Princess Diana arriving at a film premiere at the Cannes Film Festival, France in May 1987.